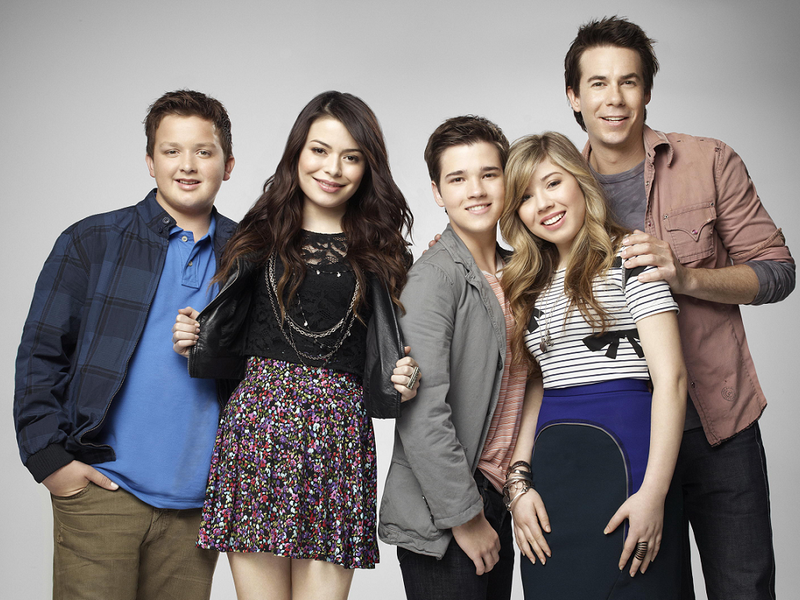 iCarly. . HD Wallpaper and background images in the iCarly club tagged: photo icarly carly sam freddie spencer gibby. 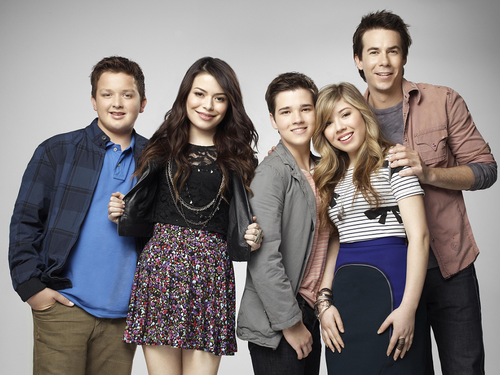 This iCarly wallpaper might contain hubad binti, pantyhose, mahigpit na bumabagay pantalon, mahigpit na bumabagay, Playsuit, mahusay bihis tao, suit, pantalon suit, and pantsuit.